Looking for a good way to use up some ginger syrup, I came across this recipe for the Horse's Neck in the latest issue of Imbibe magazine. Although the recipe calls for a highball glass, the lowball seemed more appropriate to me, given the ingredient amounts. And the Imbibe cocktail stylist apparently agrees, since the recipe photo shows the drinks in a lowball too. 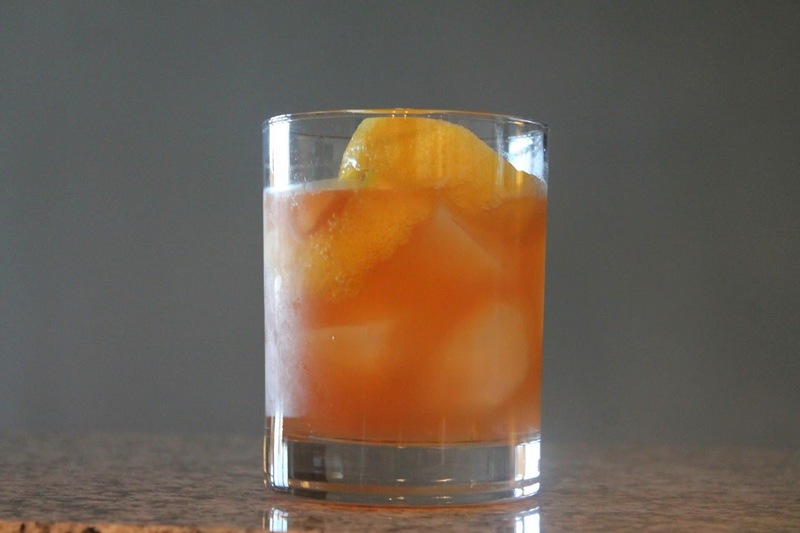 Combine the bourbon, ginger syrup and angostura bitters in a lowball (rocks) glass and stir to combine. Fill with ice and top with club soda. Garnish with a giant lemon peel.